Bucket List Photo Challenge: Day 173. Day 173 of my Bucket List Photo Challenge! You get a collection of photos today! One of my absolute most favorite things about summertime are salads— not just lettuce salads, but salads like broccoli salad, pasta salad, potato salad, bean salad, you-get-the-damn-picture salad. I made one yesterday that is out of this world, as a kick-off to summertime! Cook the bacon until crispy. Let it cool and then crumble it. 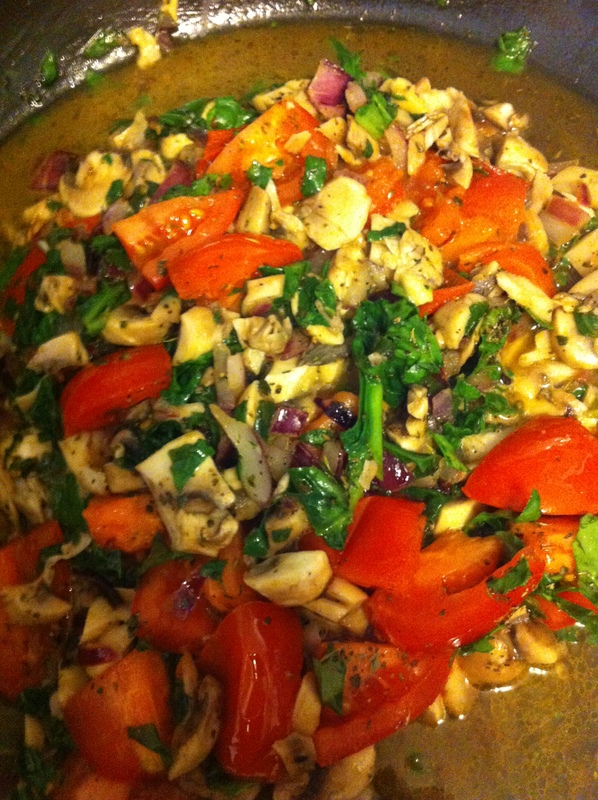 In the leftover bacon grease, cook your onion, mushroom, spinach and tomatoes until caramelized with a heavy sprinkling of italian seasoning on top. 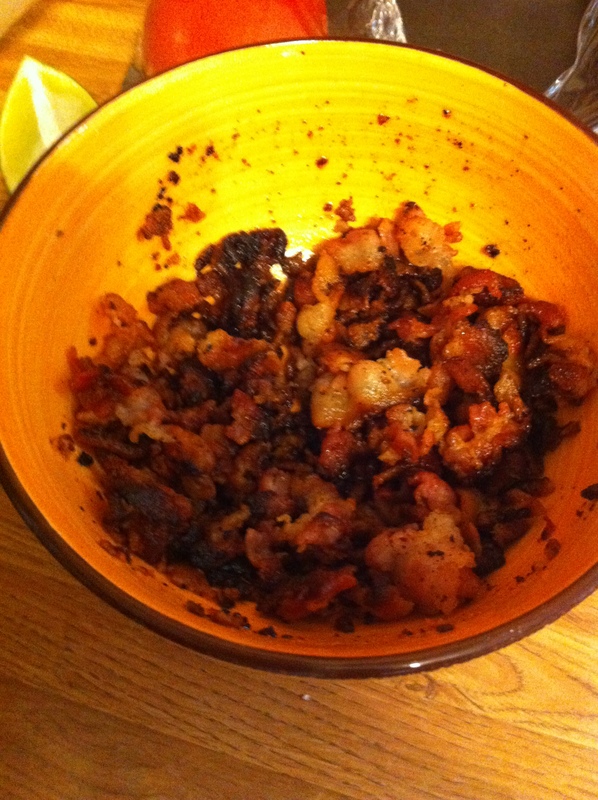 Dump this mixture into a large mixing bowl with your crumbled bacon. Add your cooked spaghetti. Stir. Add ranch. Stir some more. Add parmesan. Stir again. Chill overnight. Top with nuts prior to serving. 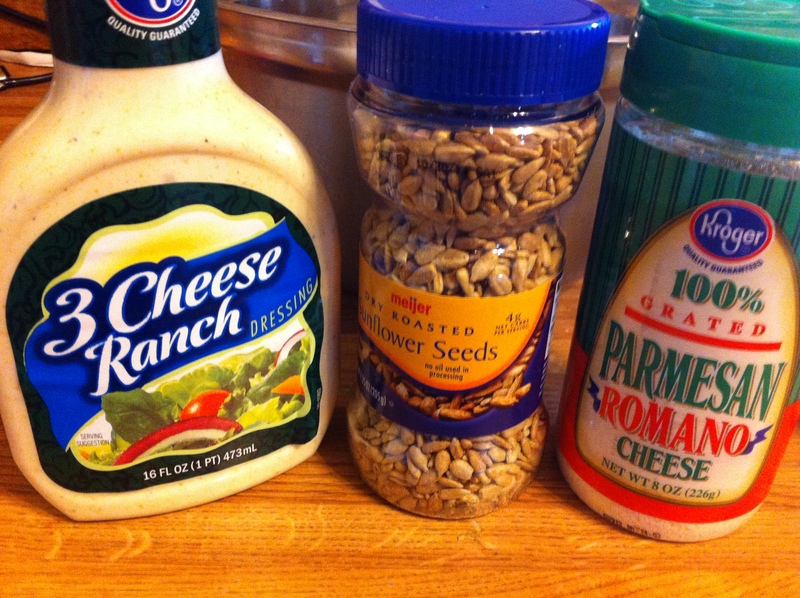 You may want to add more ranch dressing, depending on how much liquid your veggies produced while cooking. The funny thing is? These summertime dishes are called salads. But they’re not really salads and they sure as hell aren’t healthy. We need to come up with a new name. Let’s call this photo SUMMERTIME and knock that word off the list! Bucket List Photo Challenge: Day 171. Day 171 of my Bucket List Photo Challenge! I’ve been trying to incorporate juice into my lifestyle. Usually, at least once a day, I’ll have a green juice of spinach, kale, celery, cucumber, apple, lemon and ginger. 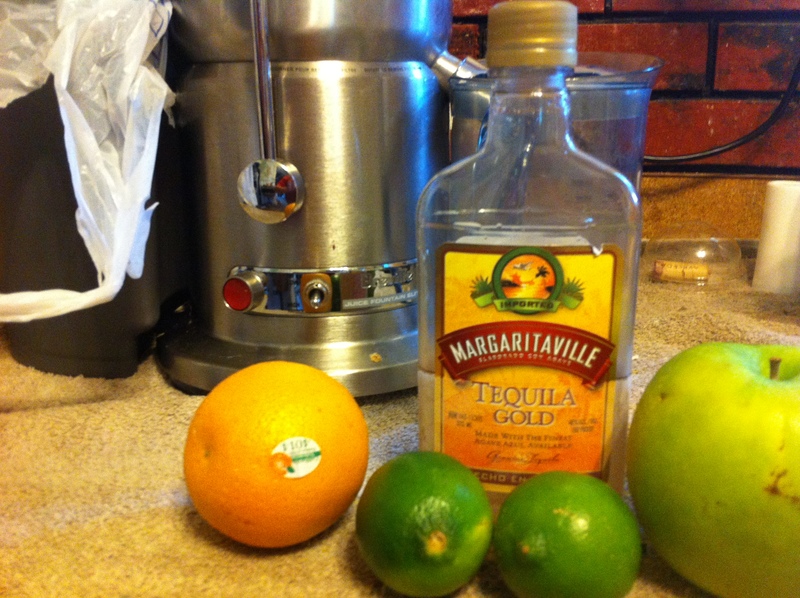 Recipe: one orange, two limes, one Granny Smith apple… and three shots of tequila. Perfect AppleRita. Did I just coin something? Let’s call this photo CITRUS and knock that word off the list! Bucket List Photo Challenge: Day 101. 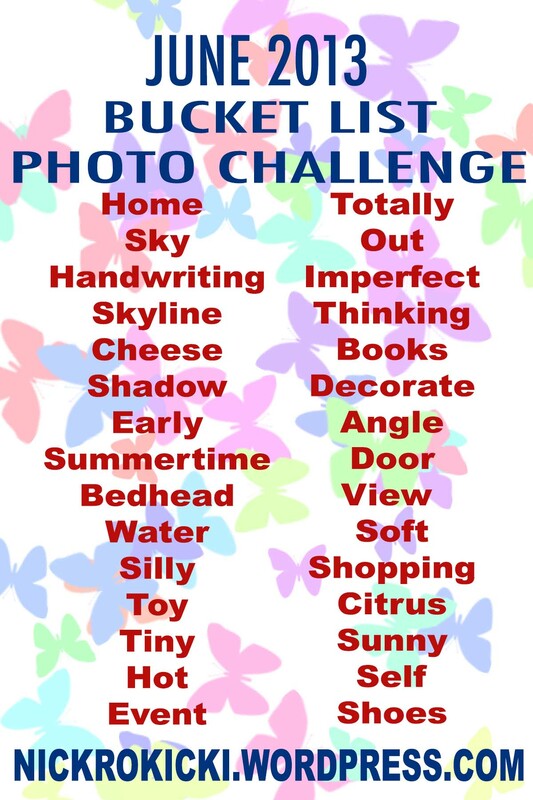 Day 101 of my Bucket List Photo Challenge! 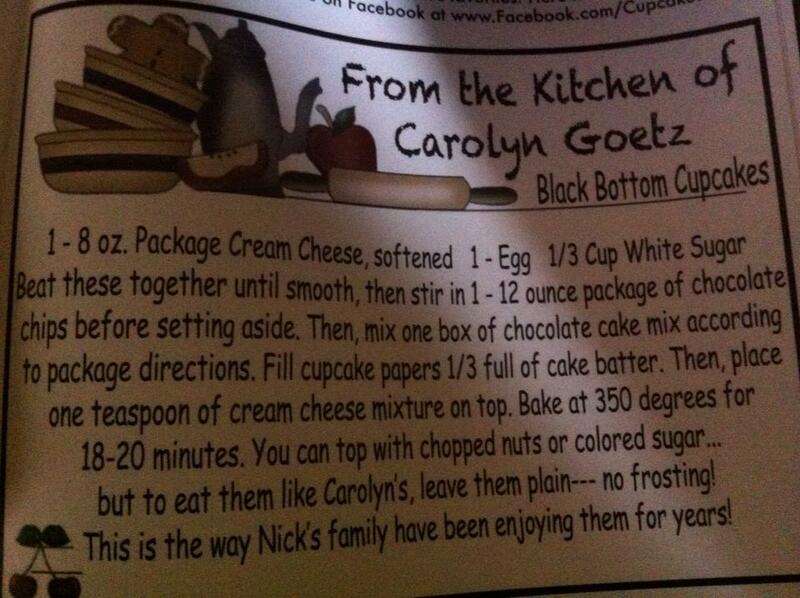 This recipe is from a cousin of mine, Carolyn. 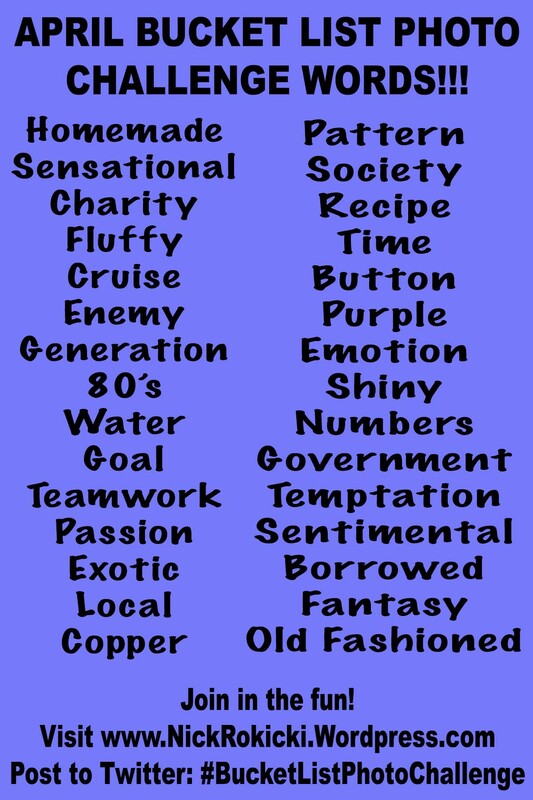 It provided the inspiration for my latest book, Casey and Callie Cupcake. AND the recipe is printed in the back of the book! You want to try an awesome cupcake? Whip these up. We’ll call this word RECIPE and mark it off the list!